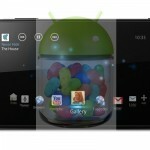 Finally it’s a sign or relief for Xperia Ion LT28i and AT&T Xperia Ion LT28h users, Sony has just now officially rolled out android 4.1.2 Jelly Bean 6.2.B.0.211 firmware. 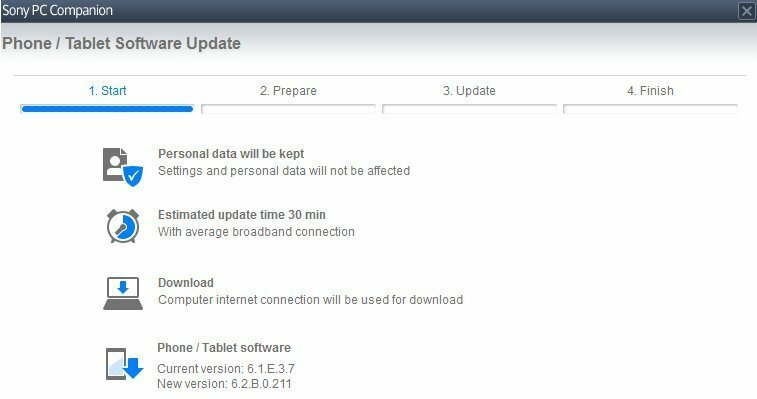 Both Xperia Ion LT28i and LT28h users are reporting the update globally 🙂 Update is available via PC Companion and SUS. Xperia Ion LT28i / LT28h android 4.1.2 Jelly Bean 6.2.B.0.211 firmware update confirmed in France, Hungary, Ukraine, India and in many other regions across Europe 🙂 Mostly Xperia Ion LT28h users are reporting this update, we have seen a very few users till now with LT28i update. Xperia Ion has got the same Jelly Bean firmware build number 6.2.B.0.211 which was rolled on Xperia S, SL and Acro S though it has different hardware. 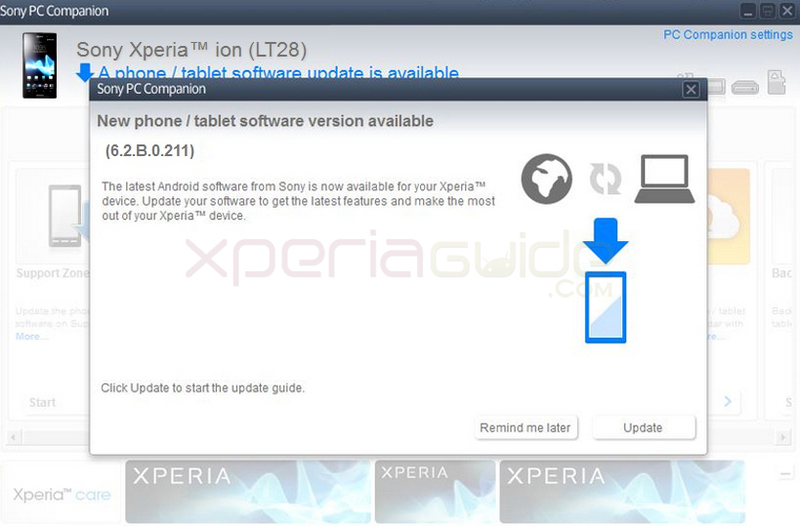 Connect your Xperia Ion LT28i / LT28h to PC, open PC Companion and look for the notification just like as shown below for the update. If you have got the notification in your region then proceed as per screen instructions. As it is a region dependent firmware update, you may or may not have got the update notification yet. If you have not got the notification yet, you can manually flash the Xperia Ion LT28i / LT28h Jelly Bean 6.2.B.0.211 ftf file. You can flash the below posted ftf files on your locked / unlocked bootloader Xperia Ion ( Both supported ), No need of rooting. Flashing is safe. Still we advise you to back up your data before flashing. 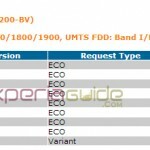 Download Xperia Ion LT28h android 4.1.2 Jelly Bean 6.2.B.0.211 firmware ftf file. Below file extracted from Generic Europe, Cust 1267-1661. Just flash the above file on your Xperia Ion. If you need a handy guide on how to flash then refer the below link. We have uplaoded a guide on “how to flash”. 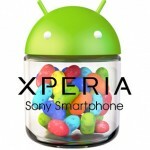 Guide has posted using Xperia P, it is same for every device so refer it. 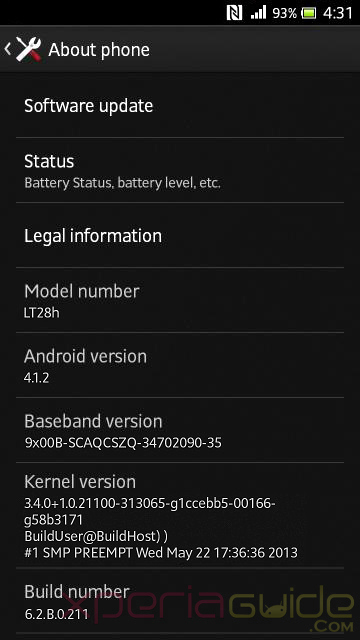 Xperia Ion LT28i / LT28h Jelly Bean 6.2.B.0.211 firmware chnagelog coming soon, soon we will post more screenshots and the full review. 1080p Video capture lagging just like in Xperia S.
Camera quality improved. No purple effect is seen. 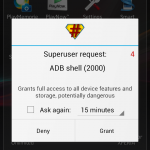 Rooting kit from legendary DooMLoRD, XDA Developer; will be uploaded soon to root the firmware, just wait we will let you know the link of his post as soon as it comes up. 102 Comments so far. Feel free to join this conversation. No update in India yet LT28i….can i flash this ftf ? Ion LT28i is it having same bugs like XS JB .211 ? you flash the LT28h ftf file on your LT28i, then you will loose the LTE from your phone. And it will show the “LT28h” in about phone section. Hi everyone, Xperia Ion user here. I have the LT28i version of the Ion which is the LTE phone. Can I flash the LT28h ftf using the flashtool? Is it doable or will it be bricked? It’s allowable…if you flash the LT28h ftf file on your LT28i, then you will loose the LTE from your phone. And it will show the “LT28h” in about phone section. Updated and Lost LTE function. I guess I screwed up. Wonder if I can get it back? Nothing is screwed. 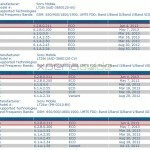 The facts is Sony has not rolled out yet Jelly Bean for Xperia Ion LT28i yet which is LTE supported. JB .211 has been released for LT28h only which is HSPA+ version only, so its natural if you flash the software from LT28h you will loose LTE function. You can exclude the Baseband on the flashtool and i think that way you can still use LTE. Dose it support arabic language ? Ive tried using sony PC companion version 210.165 rev30, and it still said that may phone is updated to the latest firmware 4.0.4? I have also tried the phones update center ,and the new 4.1 update isn’t there either, I’m not sure if the update isn’t out in Australia yet or what? 1. 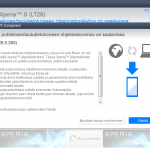 Is it possible to take backup of My Xperia Ion’s default firmware before flashing it.? 2. If possible could you please share the details. 3. Also if this flashing fails can we use this backup firmware to restored to the phone ? 4. I believe flashing will not unlock my boot loader( will not root the phone).. Is it a correct assumption ? #3 – Yes you can restore, Flashing won’t fail. #4 – Flashing Will not unlock bootloader. Unlocking bootloader is another different process. #5 – Yes you will be able to get official updates in future. hi, i want to flash my xperia Ion LT28h but I was confused as you mentioned that flashing won’t unlocked my bootloader but in the tutorial it says that It is MANDATORY TO HAVE UNLOCKED BOOTLOADER before I can flash my phone. ok. thank you so much. appreciate your prompt response. download this flashtool – http://www. mediafire.com/download/atxkg1ab6d5bw8o/flashtool-0.9.10.2beta6-windows.exe and try again. That is what I’m using right now and when I open the Flashtool there’s nothing on it. I mean I’m getting a blank page. I tried to uninstall and install it but it’s just the same. Please help. I have an unlocked AT&T Sony Xperia LT28at phone, can I update it with the firmware for LT28i? That’s okay.. I’m even good with LT28i ICS since the AT&T firmware is very irritating with chunks of useless apps. Can I use the Sony Update Service software to do this? Yes you can use SUS for this but SUS will give your firmware update if there is an official update for your phone. My phone goes in the charging mode as soon as it shows preparing files for flashing..
You need to press “Volume down” button while connecting the phone to PC, then Green light will blink indication as flashing mode otherwise red light will blink making phone charge. Please install your drivers again via flashtool, reboot your PC and phone and then try. i have the same problem with sahil. i tried it many times but i failed. i am still having the problem .. can you say me how did manage it? When i connect in flash mode though SUS it connects normally and doesnot give any error …. but when i connect it while flashtool is opened it gives the error! Can’t understand why are you getting an error. I have tried it again. I guess it’s because of the driver of LT28h I can’t install it in my PC. is there anyway on how to install the driver of my phone? i just restart my laptop and download the flashtool & ftf file and install them again. Viola… i’m enjoying the taste of jelly bean now without any issues. could you please tell us, what is the different between the three .ftf files listed above? Please see, there is no difference…they are just 3 mirrors of same file. i have a mac.. and i think the mirrors only work for windows? How can i update my lt28h ion to jellybean it dosnt show up on ota nor on my sony bridge for mac… any suggestions..
2. when pressed lightening Icon ( flash), my phone changed from glowing green to dark green ( charging mode). so devise disconnected , hence unable to flash. Plz somebody help me……..
You can always add a device in the list, no issues. Do we need an internet connection for flashing? No flashing from FlashTool don’t require an internet connection. Installing from SUS or PCC requires. Installed flash tool but Xperia ION is not available in drivers list, how to add ION in the list, can you please show the screenshot hear. Hi Im new here, but I got some problems with My Xperia Ion LT28i, BN 6.1.E.3.7 . After I copied a film file on that, though the storage said enough space, the file was cracked in between. After i had transfer it on the phone, in the last 10 seconds, it stuck in between and forever stood still. so I had to cancel it. But the fact is after i check on the MX-play – the player i used to play film. The film still appeared and I could still play it somehow in MX player but sadly some of my music were gone, so i guess the film had cover up some App contents and delete some files to make room. And after that I couldnt make any call at all. If I log on to the Phone app, and hit any number to make a call, the screen keeps on appearing a white screen and that’s all. is there anyway to recover only the phone app content? Should I install the software update manually then make a hard reset?But still in my region there is no officially update of LT28i officially yet. Please help me, thanks in advance. something very wrong has gone with your firmware definitely. please try factory resetting your device ( wipe only settings, not data ) it should solve your problem. 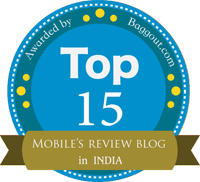 hello, well check above a comment from me has been posted with link do try those mentioned steps. Applications are hanged (including explorer) and the phone is charging with red LED on. please restart your PC, Reboot phone now try again. lt28h has already got the jb update…why don’t you flash the ftf file. Turn off your pc antivirus firewall and then reinstall pc companion and try again. Good Day, please my LT28at. I am trying to unlock it but i got unlock code from at&t, and i also bought code from 3 different sources but they all gave me same code which means the code must have been correct. But i could not unlock the phone. Please i would like to know if flashing the phone with a new firmware of maybe LT28h or i could solve the problem and make it usable with any network or what do you suggest i do because i have called at&t again and they claim the code is correct but phone doesn’t unlock with the code. Have AT&T ion with LTE flashed .211 without baseband. Happy to have JB with LTE, but am getting random reboots. Any thoughts? random reboots ? that’s weird :/ Are you rooted ??? No, not rooted. Of course also still has locked bootloader. Sucked battery big time for the first couple of days, but ok now. Usually reboots when listening to music. can be the bug or try flashing again (wiping whole data / settings ). Is the issue solved now? I was thinking to do the same. Please, how will I flash my ion and retain the LTE function on ATT ions? Also, if I am unable to do so, can I retain 3G coverage? I flashed my ion just now and cannot connected to mobile networks! I have a question: does it is a way to save the downloaded firmware update before to flash it via PC Companion or Bridge? Go to my computer > unhide folders (uncheck recommended windows data option) > go to program data > sony Ericsson > update service > db > blob fs > copy the 2 largest files in a separate folder > open flashtool > go to tools/advanced > decrypt files > select those 2 files > flashtool will decrypt them now > label your files > ftf will be created. thanks for getting me back sooner and… for the great reply! hello sir. i’ve done flashing the firmware with my xperia. but when i turn it on. my phone keeps rebooting. at one point,my phone turn on. and i play with it for a while. but then the screen fade away and turn off by itself . please help me sir. what should i do ? did i made a mistake?? no mistake, it seems, try re-installing the firmware again, do factory reset first…it’s a software issue. try re-installing the firmware again, do factory reset first…it’s a software issue. it may be a firmware bug, try reflashing the firmware again…if still it don’t works then flash back the old ftf. One more help, could you please let me know where i can get a perfectly working 6.1.E.2.68 firmware for download. My Phone is LT28at unlocked. What if I reset my phone to factory settings .Will it go for normal stage or will that go to locked AT&T factory settings. Also if I try to flash lt28h jelly bean excluding baseband will the LTE function remain for me. i have updated lt28h from ics to jb using pcc but now i am facing camera problem …when ever i capture a image camera is capturing blurry images …is there any solution for this problem. plz help me how to unlock xperia ion lt28h . 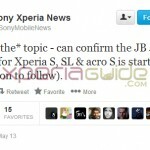 can xperia ion will have an update to jellybean 3.0? Is it possible to downgrade the software ? because my video camera in full hd mode is not working properly and also battery is discharging rapidly . Successfully flashed this update on my LT28H Malaysia. Running very good but bit lagging due to insufficient running RAM only left 200+MB.. Thanks you. Has anyone tried the LTE option in the LT28h Jelly Bean update? Does it work? Hi i am using ion LT28at model now my phone running in ICS. If i flash with this LT28h firmware any problem will come in network?? LT28at is support 4G network after i flash it also 4G network will support?? 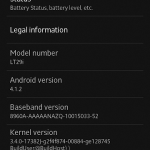 I got 4.4.2 Kit Kat (Cyanogenmod) installed in Sony Xperia LT28H and most of the features are not working. I want to bring the set back in Jelly bean. Please help.